​Three Horse Products You're Going to Love! Equinety increases energy and endurance, strengthens bones, muscles, and immune system, and boosts vitality. Equinety's Horse XL customizes itself to your horse's needs. A proprietary formula created out of love and medical science for animals to increase their longevity and quality of life. Click on the picture to the left for more information and to purchase Equity. Wondercide is formulated with organic, food-grade ingredients to be safe, effective and easy-to-use. Simply spray and play without worry of chemical pesticides, drops or pills. Use as needed to kill on contact and repel parasites. According to Dr. Evan Keller, DVM, "cedar oil is safe and some owners feel very effective, without contributing a lot of toxins to the environment. There are actually several commercially available products on the market that contain cedar oil as the key ingredient. People use it for both treating the stable surfaces as well as on the horse. You need to make sure you get a formulation that is designed to be put on your horse." Click here for more information and to purchase Wondercide. How it works: Cedar oil affects octopamine, a compound that is essential to life for pheromone-driven “bad bugs” like fleas and ticks. Cedar oil blocks the octopamine neurotransmitter receptors in pests, causing them to be repelled from the area. 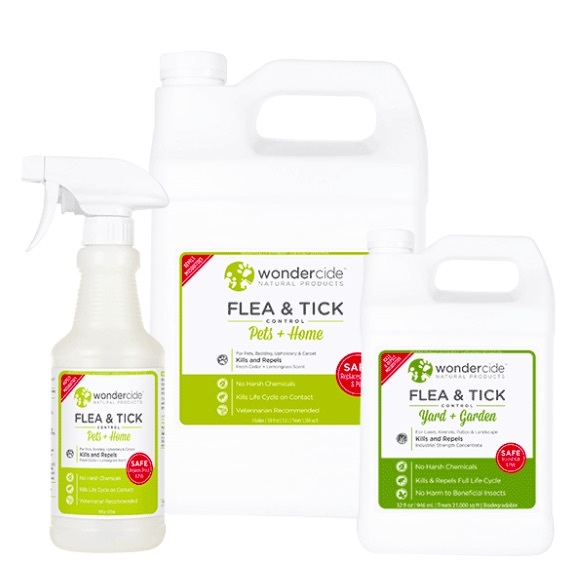 When contacted with the cedar oil in Wondercide's Flea & Tick Control products, pests suffocate and die. Wondercide’s cedar oil is safe for dogs, cats, and horses because it is produced by steam distillation with a proprietary fractionating process that renders it phenol-free. No other fly mask fits as snugly or as comfortably. The nose protector is ideal for horses with pink skin or blazes who tend to get sunburned in summer. The ear protectors are perfect for horses with sensitive ears who tend to get itchy hives from fly bites, or whose ears are recovering from wounds or surgery. Highly recommended!